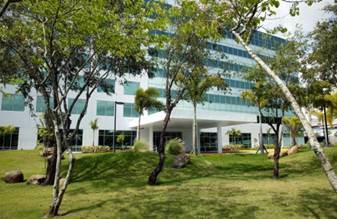 The Medical Office Building is a seven-story, 181,000 square foot addition to the campus of the existing Hospital Interamericano de Medicina Avanzada (HIMA) in Caguas, Puerto Rico. Project Design by Page Southerland Page and Fracinetti Arquitectos, Inc. The first and second floors provide retail space for food services, diagnostic laboratory work services and building support. Floors three through seven provide office space for physicians. Manhattan provided preconstruction services for the new building and associated site development.